If you’re reading this blog it means you survived the first week of Daylight Savings Time. In fact, Spring is now upon us! This year, Spring officially started on Sunday March 20, and if you can’t tell, we are fairly excited for spring and all it brings. Longer days blooming flowers, warmer weather, more time to be outside; Spring is a great time. Spring often signifies new beginnings, growth and a shedding of the old. For this reason, many people find the arrival of Spring as a good excuse to do some cleaning, Spring Cleaning. This may seem as a no-brainer but it is an important first step. Include your elderly loved one and anyone else who can help, the more the merrier. Make a game plan of everything you want to accomplish during Spring Cleaning and set a time that works for everyone. Since it is their place to live, it is important to respect the wishes of your elderly loved one. Keep in mind, while having a game plan is a part of the road to success, you will also want to be flexible and work around your loved one’s schedule to keep them from getting to exhausted. 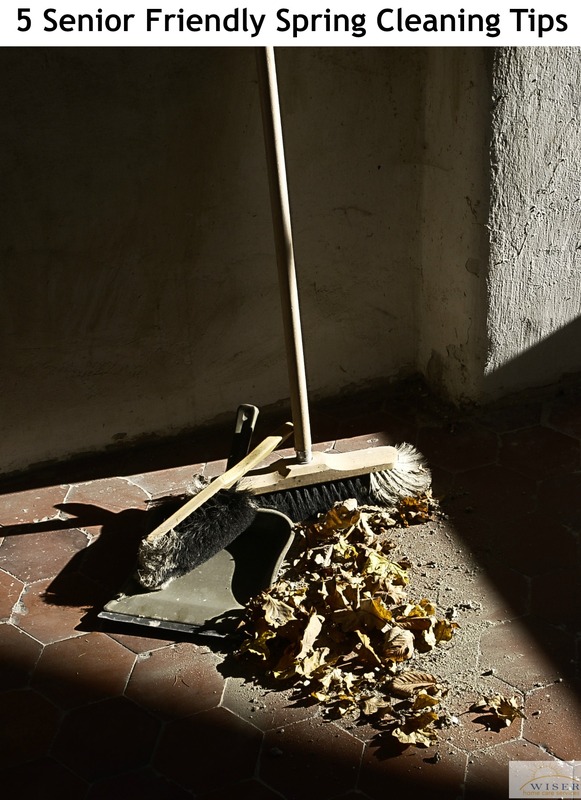 When people think of spring cleaning they often jump to outdoor chores, cleaning attic places and dusting. While these are parts of spring cleaning, there are additional places that are just as important such as the fridge, cabinets and pantry. Check all food and perishables to make sure they are within a safe expiration date. You will also want to check noodles, rice, cereal, flour, sugar and any other possibly open-container foods. These foods attract mice and insects and need to be monitored. Finally, check the medicine cabinet. Make sure all the necessary medications are filled and everything is up-to-date as far as expirations go. Spring Cleaning is a great time to replenish first aid items and go over a renewed emergency plan. Your emergency plan should layout what the proper protocol is for falls, injuries, break-ins, natural disasters, etc. If you don’t know, the clutter bug is like the jitter bug but you clean. Ok, so we just made this up, but it is really important to clean up any clutter that has accumulated in your loved one’s house. Make sure all walkways, stair cases and common areas are free of clutter. This will reduce your loved one’s chance of experiencing a fall. Make sure you deep clean the whole house, this includes dusting, vacuuming, picking up, sterilizing and cleaning most surfaces in the house. Pay a lot of attention to the bed room, kitchen and bathrooms as these are the high-traffic areas in the house. Finally, check and fix anything that is in disrepair around the house. Check for loose boards and flooring, loose grab bars, missing shingles, etc. In addition to general maintenance, Spring Cleaning is also a great time to replace the batteries in smoke and carbon monoxide alarms, check light bulbs and change water/air filters in the house. As always, if you care for an elderly loved one and would like help with Spring Cleaning or developing a care plan please feel free to contact us. We can help your family establish a care plan to personally accommodate your loved one’s needs.